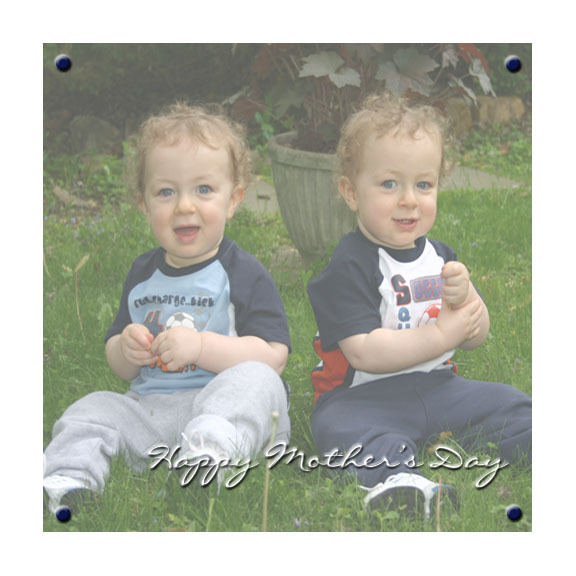 Ever thought about making a scrapbook for Mothers Day? You don't have to be the most creative person in the world to make a handmade gift that she will absolutely love. So, don't delay any longer... read on for a list of ideas to get those creative juices flowing!! If you've never made a scrapbook before, but are interested in taking up the hobby, this is as good a time as any to get your "feet wet". For those of you who have been scrapbooking for while, you'll know that knocking out an 8" x 8" scrapbook, especially one with so many potential pictures, is pretty easy. The bottom line is that you just have to set your mind to getting it done, which is usually the case with any scrapbook. So, you have your supplies, but you still don't know where to begin... Here are some ideas! Coming home (baby's first bath, meeting the pets or a layout featuring baby's room). Idea: Looking for a unique way to add a baby's birth date to a layout? Just go into Microsoft Word, or your word processor of choice, and type in the baby's birth date in various font types and sizes (even do different date formats). Do about five lines to create some variety, copy and paste it several times to create a large block of text (your pattern) and then print it out onto cardstock that will match your layout. Then, all you have to do is cut it to fit the size of the scrapbook element (e.g., a 2" x 8" strip). Pictures from holidays – Christmas, Halloween, Easter, etc. Pictures from vacation – If the family took a trip to the Grand Canyon, or even to the beach, and you have enough pictures, you could create an entire scrapbook based around that one event. Pictures from trips around town – Amusement park, zoo, local historical landmarks, family events, etc. I made a Father's Day scrapbook featuring pictures of her twins at the Cherry Blossom Festival and the World War II Memorial with their great-grandfather. Another potential idea that could blossom into an entire scrapbook for Mothers Day is a "Top 10" list - the Top 10 "Things We Love About Mom". Idea: If you have a toddler around the house that is just getting into crayons, have them create some patterned paper for you. Just sit them down with a sheet of white cardstock, some crayons and let them color away. Take pictures of them while they're doing it and you've got the makings of an adorable layout!! Lastly, you could create a scrapbook for Mothers Day based solely on the similarities (and differences) between you and your Mother. You may find out that you're more alike than you think, or at least more than you ever cared to admit!